Pun Thank You cards to color. 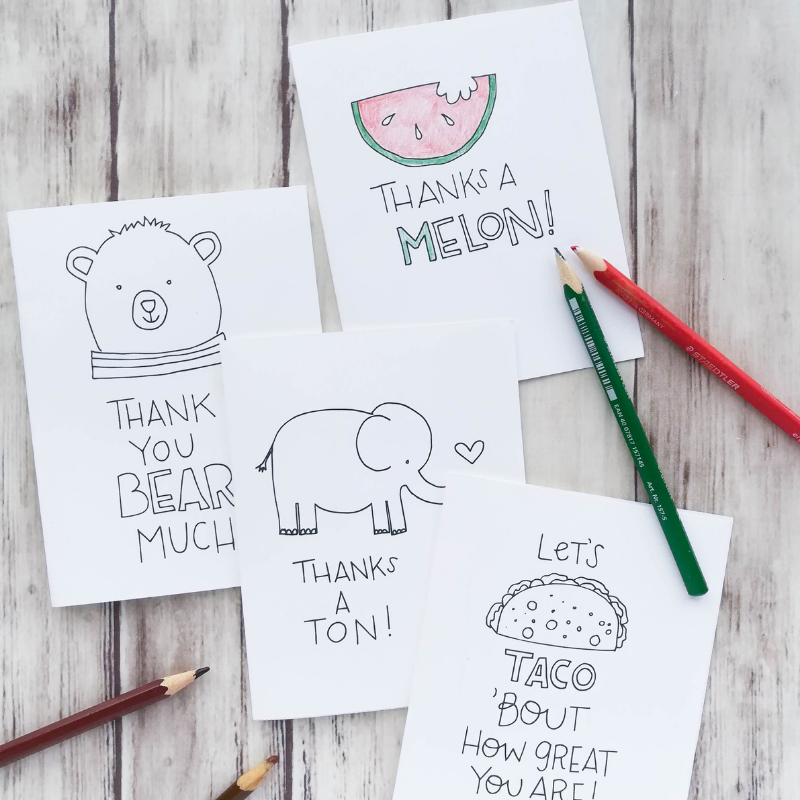 A little silly, and super fun, these thank you cards will make anyone's day! It is our family tradition to include making thank you cards in our festive activities before Christmas. I've found that we have a lot more excitement to actually make the cards before Christmas, rather than after. So I usually include them in our countdown to Christmas activities in December. In the past we've made simple cards like this. This year I decided to switch things up a bit and make them even more simple. 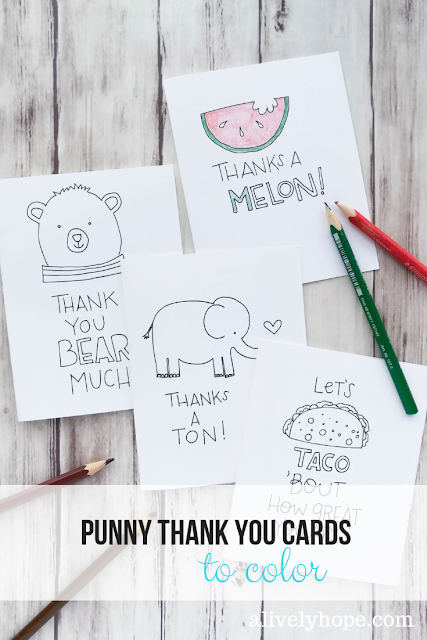 I drew some punny little doodles and put them on cards for my kiddos (and yours!) to color. Let's "Taco 'Bout how great you are! Mail or deliver to your loved ones. These would be perfect any time of year, not just for Christmas gifts! What a cute way to say thank you after a birthday party, or even just to tell someone you're thinking of them. I'd love to see how you use these cards! Share a photo and tag me on Instagram.